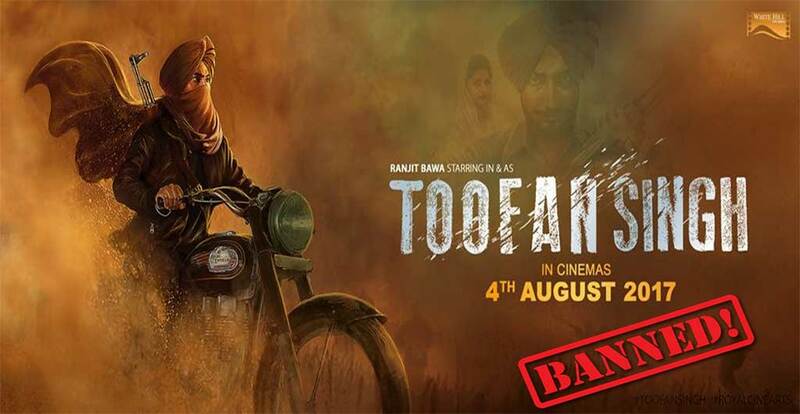 NEW DELHI, India—The highly anticipated Punjabi film Toofan Singh starring Ranjit Bawa has yet again been refused clearance for release in India by the Indian Central Board for Film Certification (CBFC). The film was originally scheduled for release on July 15, 2016 but was postponed after the Indian censor board chairman refused clearance after the board was unable to reach a consensus. A subsequent Revising Committee refused certification citing that “the film depicts anti-national elements and glorifies the Khalistan movement.” A tribunal decision in September 2016 paved the way for the fresh submission to the CBFC following legal inaccuracies. Toofan Singh is the story of a young Sikh boy growing up in Punjab during the turbulent 1980’s. The story charters his pursuit for justice, survival and equality for all. Devastated by the deteriorating law and order situation, Toofan Singh is forced to fight against corruption, crime and brutality in order to protect society at large. Following the decision of the Indian Central Board for Film Certification (CBFC) coupled with the demand from Indian audiences, Royal Cine Arts remastered the entire film to address all points raised by the CBFC. Despite full co-operation, a fresh submission to the CBFC on July 13, 2017 received an outright blanket refusal for clearance. A distinct message was communicated outlining that clearance would never be granted regardless of current or any future amendments. Journalist Surinder Singh is Currently Held Detainee At Ambala Jail.